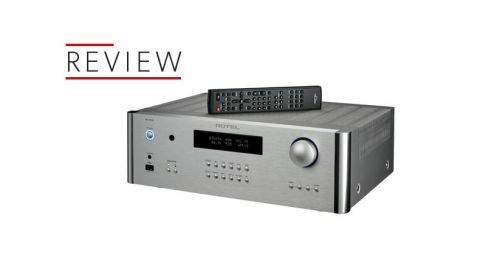 Rotel RA-1572 review | What Hi-Fi? In May 1974, the Royal Albert Hall hosted a sold-out concert by a group proudly labelling itself as the World’s Worst Orchestra. Four years earlier, composer Gavin Bryers, then a lecturer at Portsmouth College of Art, had cobbled together the Portsmouth Sinfonia as a one-off artistic experiment. However, over its lifetime, the ragtag collective counted prestigious names, including Brian Eno, Michael Nyman and Simon Fisher Turner, among its members. There was just one rule; members had to attend rehearsals and take the performances seriously. Everything else was arbitrary. Those who could play were encouraged to pick up an instrument on which they had no experience – Eno, for example, chose to express himself on the clarinet. In essence, the orchestra shouldn’t have been anywhere near playing such an esteemed auditorium. Despite their obvious earnestness, the Sinfonia was ready to accept the inherent humour in their performances. The point is why audiences found their renditions of classic pieces so funny, rather than anything the original composers had intended. As in comedy, it relates to timing. Rotel’s RA-1572 integrated amplifier doesn’t quite make the Vienna Philharmonic sound like the Portsmouth Sinfonia, but it does raise the question of how erratic timing, along with a lack of dynamic expression, can destroy a performance over clarity or notation. But this is where the Rotel falters. It struggles to organise or cue instruments, lacking impetus on leading notes to leave rhythms all but reliant on the listener’s interpretation, and effectively depriving musicians of their emotion. These are the things that ought to set products with such lofty price tags apart, but in the RA-1572’s case it is doing so in precisely the wrong way. There is plenty to like about the Rotel RA-1572. It is wonderfully clear and spacious, to a standard that’s impressive even when you consider that you’ve spent more than a grand on an amp. Tonally, it is wonderfully balanced too. Although there isn’t much in the way of expression, instruments and voices are rich enough, with adequate weight to their delivery. Concentrating on isolated lines you get an impression of how good this amp could be, given a little care and attention in its timing and organisation. Ultimately, the fact that this hasn’t happened, only serves to disappoint us more. There is an on-board DAC as well, which while closing the presentation off a tad does appear to facilitate a marginal upturn in the RA-1572’s rhythmic and dynamic capabilities. It isn’t quite enough for us to heap praise upon it, but its inclusion is one of this Rotel’s most attractive qualities. Besides, we are prepared to get behind anything that claws back a bit of the performance previously lost in those respects. We can’t fault the RA-1572 for its build or features. As well as that DAC, it boasts four RCA analogue inputs, two each of optical and coaxial digital, USB and XLR inputs and built-in Bluetooth compatibility. On the output front, there’s space for two pairs of speakers, headphones and a subwoofer. You might think spending £1400 guarantees you won’t be fobbed off with a one-size-fits-all, cheap plastic remote control, but we’ve seen enough of such controllers to know that is far from the case. That’s why we’re pleased that the Rotel remote hasn’t trodden that path. It has specific buttons for all the features, and is built as sturdily as the amp itself, leading us to prefer using that to the control app on our phone. Physically and spec-wise, there’s a lot of amp here for the money; but it takes only a brief comparison with the Award-winning, albeit far less feature-laden, Rega Elex-R to confirm where Rotel is going wrong with its performance. Again, the Rotel holds its own in terms of clarity and space, but is put entirely in the shade by the Rega when it comes to timing, organisation and dynamics. Suddenly pieces come alive, like witnessing a first rehearsal and then the final recital, and furthermore managing it with a £500 discrepancy in price. The RA-1572 certainly has its strengths, particularly in performance and construction. However, while its flaws aren’t especially numerous, deficiencies in the most important areas leave us altogether cold. If you’re entirely enamoured by the array of features and connections for which Rotel here offers a one-box solution, then give it an audition – there may be enough in its performance to convince you to part with your cash. For us, though, the RA-1572 falls considerably short of the kind of quality we’d expect.